Since the last additions to our OpenStreetMap tile serving network in December, there has been a lot more server set-up going on. The German tile cache server tabaluga is now retired and is no longer serving tiles. This may sound like bad news, but quite the opposite! Tabaluga has been replaced with a new server, katie, which has taken over its job. The new tile cache server katie is still located in Falkenstein, Germany, and still hosted by Hetzner. More good news: There are two tile cache servers in Germany now! The second tile cache server, konqi, is located in Jena, Germany, hosted by EUserv. The Russian tile cache server gorynych just had a memory and SSD upgrade, and with this it can deliver even more content. There is another new server in Hungary. With this Hungary becomes one of 12 countries hosting OSM CDN servers. Tile cache server sarkany is located in Budapest, Hungary, hosted by szerverem.hu. 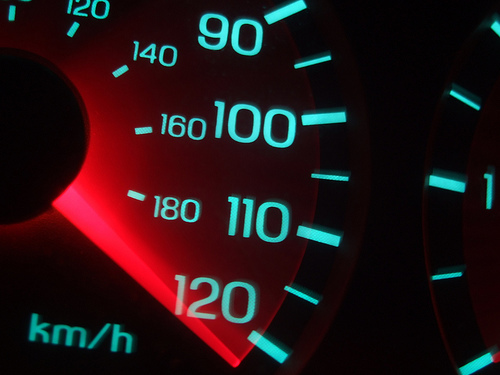 With all of these, the CDN (Content Delivery Network) server count comes to 16 active servers. Tabaluga was running, thanks to Freerk Ohling, at Hetzner since May 2013, and served its last tiles in January. Freerk approached us back in April 2013 to suggest we implement EDNS client subnet support (implemented in December 2014) and to offer us a sponsored tile cache server. Now he has also kindly sponsored new tile cache servers in Germany. Tabaluga primarily served traffic to visitors from Germany. Approximately 56 million map tiles per day. (avg 652/sec, peaking at 1245/sec). Serving close to 1TB of data per day. It was the highest traffic OSM tile cache server. OpenStreetMap tiles are free for everyone to use, but should be used with moderation. If you are a high traffic site you should look at switch2osm.org to find out how to use the data and keep the tiles available for everyone. The OpenStreetMap Foundation seeks additional distributed tile servers. If your organisation would like to donate a tile server and hosting, please see the Tile CDN requirements page on the wiki. You can also support OpenStreetMap by donating to the OpenStreetMap Foundation. The OpenStreetMap Foundation is a not-for-profit organisation, formed in the UK to support the OpenStreetMap Project. It is dedicated to encouraging the growth, development and distribution of free geospatial data for anyone to use and share. The OpenStreetMap Foundation owns and maintains the infrastructure of the OpenStreetMap project. This entry was posted in Operations, osm.org and tagged donation, geoDNS, hardware, infrastructure, servers, tile server, tile usage policy on March 24, 2015 by Hrvoje Bogner. Have you noticed faster tiles lately? Browsing the map on openstreetmap.org should now be even more responsive. 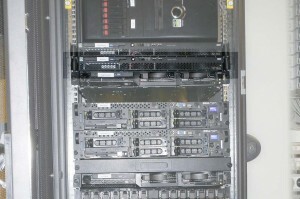 Three new servers, started providing tiles over the last 2 weeks, joining a server which started earlier in the year. Tile server saphira, located in London UK kindly hosted by Jump Networks. Tile server viserion, located in Pula Croatia, kindly hosted by CARNet. Tile server stormfly-02, Located in Corvallis USA, kindly hosted by OSUOSL. Tile server longma, Located in Hsinchu Taiwan, kindly hosted by NCHC. Map tiles are delivered to users based on their GeoDNS location. The OpenStreetMap tile content delivery network (CDN) now supports EDNS-client-subnet to improve locating the closest region tile cache. OpenStreetMap tiles are free for everyone to use, but should be used with moderation. If you are a high traffic site you should look into switch2osm.org to find out how to use the data and keep the tiles available for everyone. Thanks to generous donations and active local community members, the OpenStreetMap distributed tile delivery infrastructure continues to grow. The OpenStreetMap Foundation seeks additional distributed tile servers. If you would like to donate a tile server and hosting, please see the Tile CDN requirements page on the wiki. You can also support OpenStreetMap by donating to the OpenStreetMap Foundation. The OpenStreetMap Foundation is a not-for-profit organization, formed in the UK to support the OpenStreetMap Project. It is dedicated to encouraging the growth, development and distribution of free geospatial data and to providing geospatial data for anyone to use and share. The OpenStreetMap Foundation owns and maintains the infrastructure of the OpenStreetMap project. This entry was posted in Operations, osm.org and tagged donation, geoDNS, hardware, infrastructure, servers, tile server, tile usage policy on January 2, 2015 by Hrvoje Bogner. Thanks to generous donations and active members of the OpenStreetMap community, OpenStreetMap infrastructure continues to grow. A new tile server, Trogdor, has been added to the OSM tile cache network. Located in Amsterdam, The Netherlands, Trogdor is currently serving tiles to IP addresses from The Netherlands, Belgium and several other central European and central African countries. A second new tile server, Ridgeback, has also been added to the OpenStreetMap tile cache network. Located in Oslo, Norway, Ridgeback is currently serving tiles to IP addresses from Finland, Iceland, the Faroe Islands and several others. The list of countries served by any tile server will change over time due to expansion of the tile server network, loading, maintenance activities and other factors. Map tiles are delivered to users based on their GeoDNS location. The OpenStreetMap Foundation seeks additional distributed tile servers. If you would like to donate a tile server and hosting, please see the Tile CDN requirements page on the wiki. We would like to thank Blix Solutions AS for this generous donation to OpenStreetMap infrastructure. The OpenStreetMap Foundation is a not-for-profit organization, formed in the UK to support the OpenStreetMap Project. It is dedicated to encouraging the growth, development and distribution of free geospatial data and to providing geospatial data for anyone to use and share. The OpenStreetMap Foundation owns and maintains the infrastructure of the OpenStreetMap project. You can support OpenStreetMap by donating to the OpenStreetMap Foundation. Photo Credit. This photo of the Oslo tile cache server is kindly provided by Blix Solutions AS, licensed CC-By-SA and used by permission. This entry was posted in Operations, osm.org and tagged Amsterdam, donation, geoDNS, infrastructure, Norway, Oslo, servers, The Netherlands, tile server, trogdor on February 25, 2013 by Richard Weait. A new tile server, Lurien, has been added to the OSM tile cache network. Located in Pau, Pyrénées-Atlantiques, France, Lurien is currently serving tiles to IP addresses from France, Spain, Portugal, Andorra, Gibraltar, Italy, Monaco, San Marino and Vatican. We would like to thank PauLLA with support of Université de Pau et des Pays de l’Adour (UPPA) for the server and connectivity and Communauté d’Agglomération de Pau Pyrénées (CDAPP) for the data centre hosting. We would also like to thank OpenStreetMap contributor Christophe Merlet for arranging the donation. This entry was posted in Operations, osm.org and tagged donation, geoDNS, infrastructure, lurien, servers, tile server on December 18, 2012 by Richard Weait. For the second time this month, the OpenStreetMap Foundation has a generous donation of OSM infrastructure to announce. 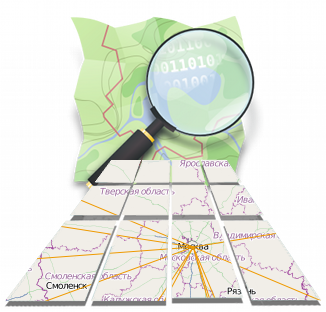 A new tile server, gorynych, has been added to the OSM tile cache network. We would like to thank Yandex for providing the new tile server in Moscow. We’d also like to thank the local OpenStreetMap community, especially Dmitry, who was instrumental in the Yandex donation. Yandex is the leading internet company in Russia, operating the most popular search engine and the most visited website. Yandex also has demonstrated support for Open projects by hosting a mirror for Linux distributions and other F/LOSS projects and a jabber server. This entry was posted in Operations, osm.org and tagged donation, geoDNS, infrastructure, tile server on October 24, 2012 by Richard Weait. Have you noticed faster tiles this week? 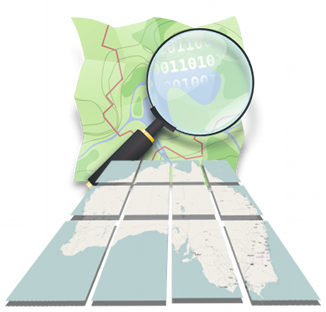 Australia now has a map caching server located in Brisbane. The server is used to speed up the standard tile.osm.org “Mapnik” map style. Browsing the map on http://www.openstreetmap.org/ should now be more responsive. This new server, named ‘bunyip’, first started providing tiles on Tuesday. We thank Kris Amy for providing the server and hosting. Thank you, Kris! If anyone experiences any issues or hiccups, please let me know. OpenStreetMap tile servers use GeoDNS (PowerDNS with Geo backend) to locate the closest tile server. The DNS regions / cache-server can be viewed here. This entry was posted in Operations, osm.org and tagged donation, infrastructure, OSMF, tile server on October 4, 2012 by HarryWood. 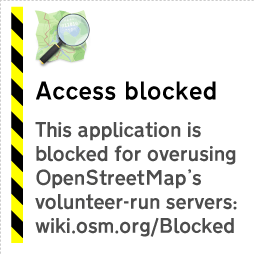 We’ve had to block some uses of the OpenStreetMap Foundation tile servers. This article describes what is happening and why. This article also describes how you can adapt if you are affected. 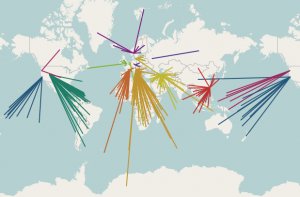 We’re really proud of the increased popularity of OpenStreetMap. We’ve seen seven-plus years of project growth in every measurable area. As the project has grown we’ve learned and adapted in many ways. The use of our tile server has grown faster than every other aspect of the project. One way that we are adapting now, is by restricting how our map tiles may be used. You’ll still be able to use our tiles in creative and interesting ways but the volume of use will be limited. We need to limit access to our tile server to only those users who don’t overburden our resources. Those users who make large demands on our tile server will be slowed down by our throttling mechanism. This throttling mechanism is rarely triggered by mappers. Problematic applications may show this image instead of a map. Those applications which make exceptional demands in aggregate from their users will be blocked. The tile usage policy is on the OSM wiki. So what can you do about this? How can you get the wonderful OpenStreetMap tiles for your mobile device? You can run your own tile server and serve tiles for yourself or your users. You can use an application from a developer that provides a tile server for you. You can use tiles created from OSM data, provided by a server that permits bulk downloading. You can buy tiles from a commercial provider. You’ll find more advice about potential tile source alternatives on the wiki. Read on if you would like to know more about the history of the OpenStreetMap tile server. 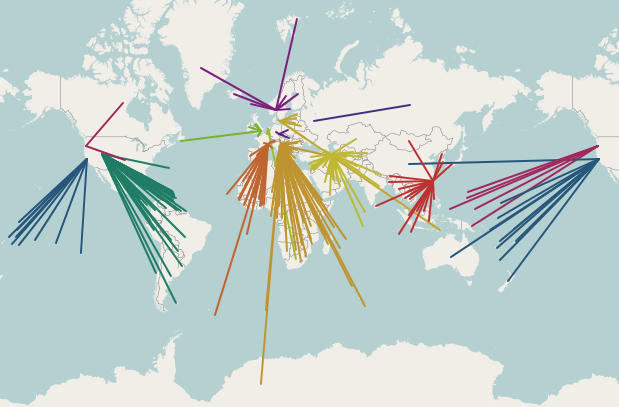 We started creating rendered images of our map data as a way to encourage our data contributors. Mappers enjoy seeing the results of their surveys on the OpenStreetMap web site, and they can be inspired to map in their neighbourhood the things they see other mappers surveying in other places. Mappers loved the tile server when it first appeared. Potential users often looked at the map in 2006 and said, “Hey, why is there a huge blank spot where my town should be?” Some of those potential users became the long-time contributors that we all know and love. As more contributors mapped more neighbourhoods, more blank spots started to fill in. More potential users became actual users, and OpenStreetMap tiles started to appear in more places. The tile server became even more popular when rapid updates were enabled. Rather than updating the map every week, parts of the map could update as contributors added data. If you remember the weekly updates you also remember that funny tingle you had the first time you mapped something and it appeared on the map immediately; it seemed like magic, didn’t it? The OpenStreetMap Foundation has had a tile usage policy for some time. From September 2008 it has been explicitly stated that bulk downloading of tiles was discouraged. OpenStreetMap kept growing. More people came to understand the awesomeness of OSM tiles. Also in 2008, the Ordnance Survey started serving map tiles to users through their OS Openspace program. In July of 2011, Ordnance Survey served their one billionth tile to a user. OpenStreetMap serves a Billion tiles every eleven days. So we know a thing or two about providing awesome maps to users. 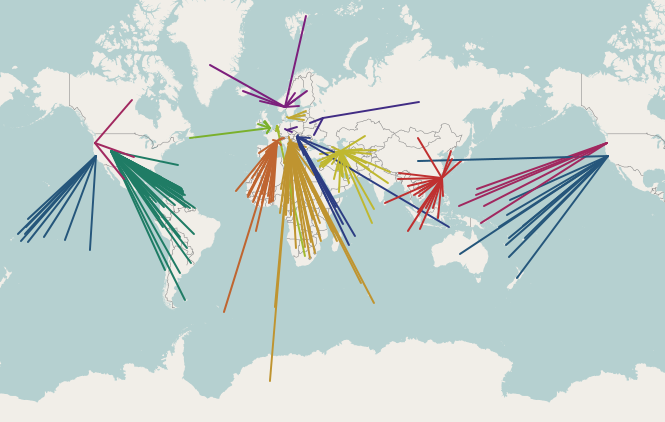 We do it all with the crowd-sourced data from our contributors around the world, the volunteered time of our sysadmins who keep our servers running, and the generous donations of servers and bandwidth and funds. We’ve had to become more restrictive of the use of our tile server over time. We’ve limited how many tiles you can consume in a period of time. These restrictions only affected the most-demanding of tile consumers. The everyday mapper never ran into a problem getting tiles to add data to OSM. That allowed the growing number of users to continue to have access to OpenStreetMap tiles without our resources being monopolized by one or two bad actors. More and more mobile applications started using OpenStreetMap tiles. Many of them included a bulk downloading method so that tiles could be saved on the device at home, rather than downloading tiles at a punitive data rate. 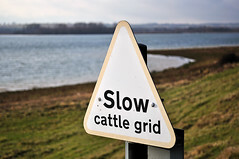 That bulk-downloading has always been problematic for OpenStreetMap because a single user will consume hundreds of times the resources of an average user. There are so many applications using OSM tiles, with so many users making unreasonable demands on our resources that it is affecting the quality of service for the average user. And that’s not fair. So we’ve started blocking the applications that are causing us the most trouble, in addition to blocking users with problematic specific behaviours. We regret it, in a way. After all, we map because we want people to be able to use our data. But our resources have to be used in a way that everybody can share. We can’t have a small number of people consuming all of our resources. So that’s why some people have started to see the “prohibited” tiles on their maps. Overuse. Or mobile applications that are causing overuse by a group. This entry was posted in Operations, Uncategorized and tagged bulk download, mobile application, tile server, tile usage policy on November 1, 2011 by Richard Weait. The OpenStreetMap server team has upgraded the tile server to render changes faster. Demand for OpenStreetMap tiles has increased steadily as the project grows. 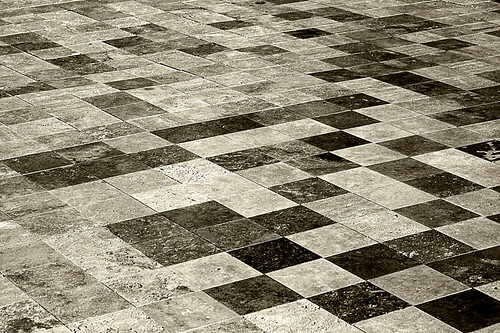 Recent increases in demand for tiles has lead to long waiting times for mappers who want to see the results of their improvements to the map. Thanks go to Grant Slater, Jon Burgess, the Mapnik.org team, and many others who keep improving OpenStreetMap every day in ways large and small. Read the announcement and hardware details on talk@. This entry was posted in osm.org and tagged rendering, rendering delay, tile server, yevaud on May 9, 2011 by Richard Weait.